I wrote a lot over the years. 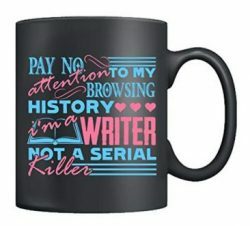 Short novels, fanfictions, sometimes I drew from my own life. There is a bit of everything. This short story blows out its first candle next week and it seems forever. She lets the light of her laptop’s monitor go off as it turns to power save mode. She’s sitting at her desk, glasses resting on her nose and backlog papers deluging, no differently than any other working day. Except, her mind froze at 10.40 am that morning, on the first-row bench in federal courtroom. The rest of the day has been a daze of surrealism. She would question if it happened at all, weren’t it for her palm and fingers still prickling from the sharp impact. The slap reverberated in the long corridor and in the ears of the bystanders who happened to witness her outbreak. Steeled with sleepless nights and buried tears. Incensed with betrayal and grief. There’s no point in trying to deny that over the last couple of years countless thoughts were wasted on the same enigma. Had I the chance to see him again, to rewind time – just enough to change events – or perhaps wake up from the longest nightmare of my life, what would I do? Most of the times she envisioned herself yielding to a liberating cry or melting into a relieved embrace. It seemed like the most human reaction, under the circumstances, and what came as the closest to her restless reveries. It couldn’t have been any further from reality. She had resisted the urge to dash outside the moment he materialized in front of her. She had mustered an enormous amount of self-constraint to keep sitting there, veiling her astray turmoil while her life was being turned upside down before her eyes. Or more simply, she was petrified and just couldn’t move at all. She took it all in, silent and composed like a dormant volcano, until eventually the realization seeped in. Walt was there, right in front of her, sitting at the stand, swearing events and words she was too shaken to grasp. It all came as muffled, almost underwater. Maybe it was just the dull thumping of her heart running amok that covered everything else. As her mind returns to the dark quiet of her office, she takes off her glasses then closes the laptop, forceful enough so maybe its bang will distract her from the thought of him, but she is instead startled by a silhouette standing in her doorway. Immobile, Walt is staring at her. Two years of missed gazes are crying in the dim lights as neither Walt nor Ann have the power of averting their eyes. Maybe it’s all an odd dream. Maybe I still have to wake up. “You look like you’ve just seen a ghost.” Walt’s attempt at breaking a consolidated layer of ice goes unheeded, received only by a pensive gaze and two parted lips. He straightens up, takes an invisible step back. “Sorry, terrible joke,” he quickly apologizes, clicking his tongue then looking at his feet, uncomfortable. The silence warms up when a cautious laughter escapes Ann’s mouth, and she quickly castigates herself to a half smile. He didn’t change. “Can… can I come in?” he hesitates, peeking around in search of permission. It’s not his place anymore, after all. Or has it ever been, to begin with? Ann waits, her mind lingering briefly on old times, till his eyes are back into hers. With a light wave, she invites him to take a seat. “Of course.” Head down, she watches furtively as he traverses her office, stares briefly at the couch then makes himself, if not comfortable, at least something close to it. Her fingers entwine on the desk, twitching uncomfortably, then offload the uneasiness on the temples of her glasses. When she’s in control enough to look back at Walt, he’s looking down, round-shouldered, hands entwined in front of him. His mouth is half-open, searching for something to say. Maybe he already knows what to say, he just doesn’t know where or how to start. It’s blind-walking on a minefield. And it doesn’t help at all that Ann has put back on her wounded face. And all things considered she has every right to. “So… I know you’re mad,” he starts off with the harmless obvious. Her question floats between them, filling the weighty silence. Her gaze toys with her glasses, she doesn’t look up, just in case he catches even a small glimpse of the impact his sudden absence had on her. “I had no choice,” Walt defends himself, with a pain in his eyes leaving no doubt that, back then, it really seemed like the only option. Only then does Ann look up at him again, then shakes her head imperceptibly, offering a disappointed, short-lived smile. “Yes you had it.” She has a different perspective, built not by some illuminated awareness, but by a long, heartbreaking retrospection. She moved past their incomprehension and old frictions long ago, during too many imaginary heart-to-hearts. How easier it is, she sees it now, to patch things when you create the questions and shape the answers to your liking. Back to the start. Back to the days when she was something that needed protection. Back to a weakness that never belonged her. “Well, you did.” In an even worse way, her eyes reveal, as they close themselves off. He has no way of knowing the depth of the devastation he left behind, and even his best guess is probably far from being truthful. He looks at his feet, deep into thought, maybe just to avoid staring at her, then looks around, quietly reacquainting to what used to be the ordinariness of his life. All the late nights and earned toasts, always on the double – especially in those last months – and with the adrenaline as his best friend. Ann follows his gaze, trying to peek into his thoughts with discreet curiosity. It’s been more than two years, a relatively brief time in life when everything happened and everything changed, first of all herself. In retrospect, his sudden leave was the wakeup call she needed. The abrupt disequilibrium forced her to shift and reconsider more than one choice she had made, sometimes offering a new, more radical viewpoint. Has it been the same for him? Where did his choice catapult him? She realizes that, while he can easily imagine the aftermath of his disappearance, she knows nothing of his own. She hesitates for an instant. “So what have you been up to for the last two years?” Her urge to know is something that can’t be shushed, despite an intangible feeling of anxiety as she realizes that she might be unprepared to hear he moved on with his life. “Well, actually it’s my protected alter ego who does. I’m not sure I own anything at all now,” Walt quickly corrects himself, but the mood is lightened and he can’t help but smile. Walt leans back, outwardly more at ease, but he doesn’t answer. “Speaking of… I thought I’d find you there. How on earth did Charlie…” His question lingers unfinished in the air. Ann hints a smile, full with the melancholy of the first time she walked into that office as Denise’s partner. The desolation, everywhere around and inside of her, the colossal effort to hold herself together. Her smile is gone, but she probably doesn’t notice. “I actually owned it for a while. Didn’t last. Long story,” she shakes away any chance of further questioning. She wants to tell him all that happened but doesn’t at the same time, because as she looks back, there’s very little she wants to remember. “So… did Denise ask you?” she brings him back to what interests her. Ann’s mouth drops half open, but nothing manages to leave it. Staying in Chicago? Staying at what used to be Lockhart & Gardner? She wishes for the lesser evil while reading the answer to her unvoiced question in his eyes. “Okay,” she barely whispers. “You didn’t really die,” she corrects him, though knowing what he really means. She doesn’t want to remember. “Nice funeral by the way,” she forces herself to joke about it. “Rivers,” she nods with resolution. “Surreal?” Ann finishes the sentence for him. Ann nods, choosing to ignore the discomfort. She understands him, more than he knows. She’s been there too, she’s still there now. She wheels her swivel chair slightly back, then stands up. She hesitates a moment before deciding to walk the few steps to her couch. Her gaze remains focused outside her glass doors, so their gazes can’t meet as she sits down next to him. She can feel his warmth, his favorite cologne is still the same. It makes it all more real. “At some point I didn’t want to be a lawyer anymore.” In the established intimacy, she shares with him her rock bottom. “Then… I don’t know, I guess that the call of law took me here again. Now… I just don’t know.” She looks around, repeating Walt’s gesture, outside at the empty offices. Empty offices. Empty home. Her need for a life changing decision seems to grow every day. “When are you leaving?” she ventures to asks, finally looking back at him. The mention of the trial takes her back to the real reasons behind his return. The trial. Perry. The conversation with Lucy. What do you want? Suddenly things looks ugly and all she knows is that she doesn’t want to deal with that kind of guilt. You have some idealized notion of a man you’re not even sure cared about you. Perry’s words had been a poisoned, twisting knife back then, but she sees now the bit of truth that laid in there. When Walt left, they weren’t on the best terms. Denise claimed he wasn’t mad at her, but her subconscious always disagreed. And his reappearance, with its long train of consequences, is in her chaotic mind the confirmation she was right. Oh come on, Ann, you know that is not true. “Are you still mad? At me?” The question comes a bit out of the blue to Walt, who stares at her, seemingly confused at first, then brooding. “No. I don’t think I’ve ever really been. Were you?” he asks in return. They both were, no matter what they claim today, but it’s somehow become irrelevant, when all those wounding memories have been overwritten by the more pleasant ones they created meanwhile. She tries to picture him living his new life, it’s pleasing and sad at the same time. “So, how is it, selling sports’ memorabilia for living?” she teases him, but her inquiry holds a sincere interest. “I feel like I’m selling a piece of my heart every time.” His voice is grave, his features are tense in faux sorrow. “I can totally see you bickering with customers because you refuse to sell them stuff,” she concurs, entertained by the image in her mind. “I actually did once,” Walt remembers, furrowing his brows as he brings the memory into focus, “but in my defense, it was Kris Bryant’s autographed game bat, I couldn’t let it go.” His statement is source of hilarity. He watches as Ann chuckles at his words, with that admiration in his eyes revealing she’s still the one. She probably always will be. “I don’t think I ever fought that hard to defend a client,” Walt wonders to himself. “About me what?” She stiffens, imperceptibly but she does, as her present life is singled out. “Your priorities. Still saving the world?” he teases her, without malice. “That’s a start,” he sympathizes, with an imperceptible nudge of his shoulder. For a moment she considers sharing she’s divorcing Perry. In another life, he’d definitely be happy. Now? She doubts he’d care at all. Yet, the words are out before she can really make a decision about them. “I started the divorce procedures.” No matter what he is going to say or do, no matter how behind time these words are coming, it’s liberating to engrave them. Walt stares at her, surprise etched on his face, but he doesn’t respond anything. He takes her words in with a quiet nod and a very faint smile, but his gaze is on her, confident and… she can’t really say what else, but there’s more in them that the darkness is concealing from her sight. He tries not to show it, but her confession clearly affects him more than he gives away. She wants him to say something, anything, but quickly realizes that she doesn’t need any words. So when he leaves, just a few minutes later, unhurried, laid back, almost reluctant, she knows with instinctive certainty that this is not the last time they meet. They don’t set dates or celebratory drinks, nor a place or a call. But the way he stops on the doorstep, drinking her in with a sweet smile, a smile she hadn’t seen in years, it’s all she needs. 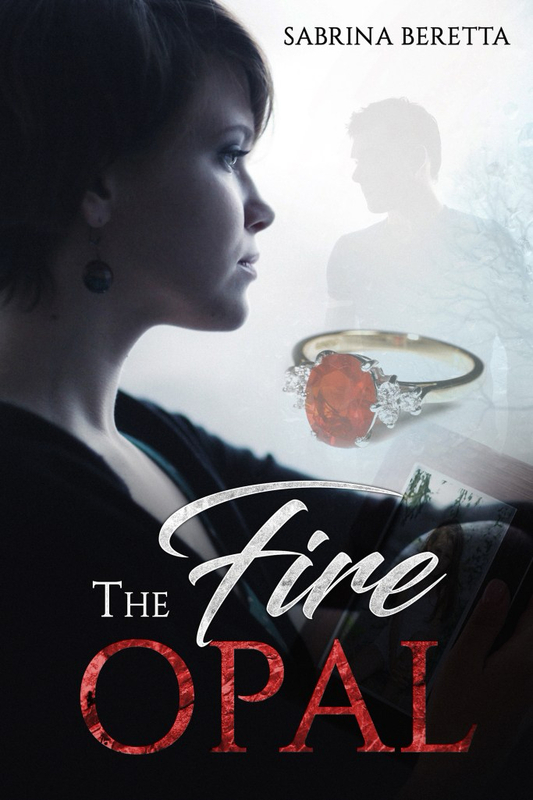 Previous The Fire Opal now available on Amazon. Woot woot!